More than 3,500 Sunkid conveyor belts are in use world-wide in more than 65 countries. Recently, however, one of them has particularly stood out, ringing in a new era of passenger transport in skiing areas. The Serfaus-Fiss-Ladis skiing area has been among the leading destinations in Alpine winter sports for years, and specifically holds an outstanding position in terms of family friendliness. 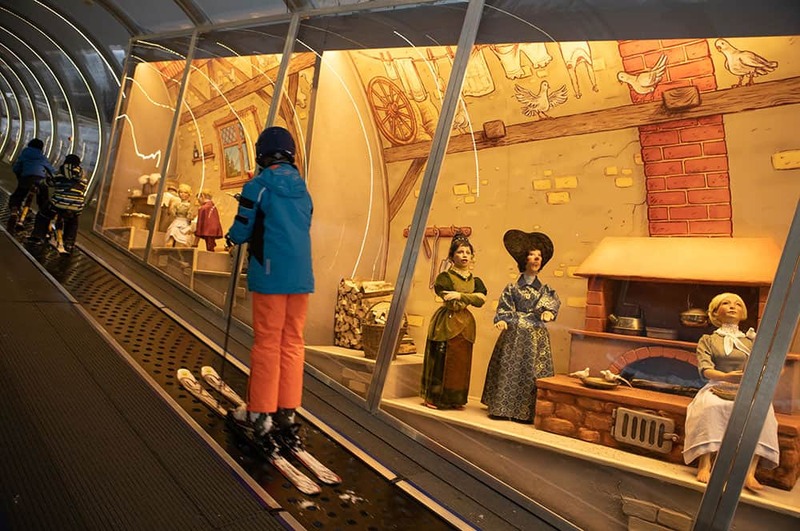 With its new fairy-tale express, the skiing area now adds to this role quite impressively. "We focus on our youngest guests here. They can learn skiing age-appropriately and with plenty of fun in Berta's Kinderland, or on one of the many themed slopes. 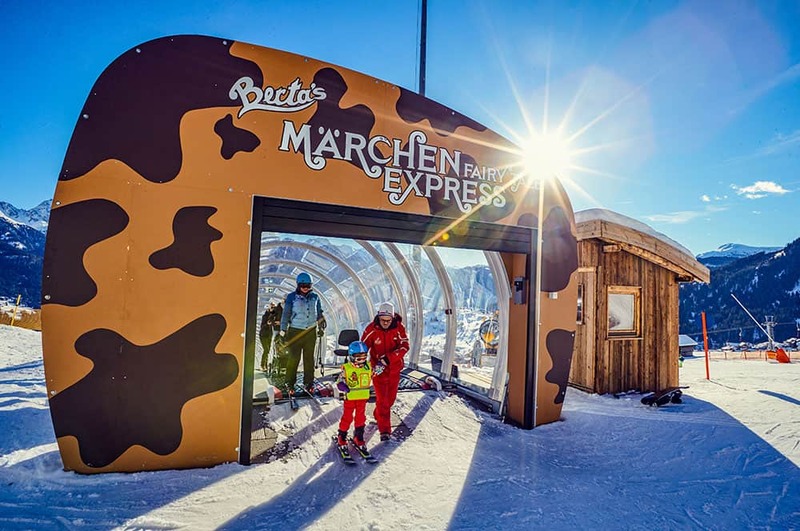 Berta's fairy-tale express supports this," says Benny Pregenzer, managing director of the mountain railways Fiss-Ladis. The 114-metre-long double conveyor belt has an impressive transport capacity of 3,600 passengers per hour and comes with a special customisation: the Evolus Duplex XL gallery. The fairy-tale express plays in an entirely new league. It is one of the most modern conveyor belts in the world. However, its unique feature is an unprecedented setup that sets new standards. The entrance portal of the fairy-tale express, nearly 4 metres high and about 6 metres wide, is visible from afar. Approaching visitors will uncover more and more details until a small window opens and Mother Holle, alias Berta the Fiss-Ladis skiing school's mascot, comes looking out to vigorously shake out her pillow. The astonishing dimensions of the gallery become clear at the entrance of the fairy-tale express, while also conveying an airy and near-weightless impression. 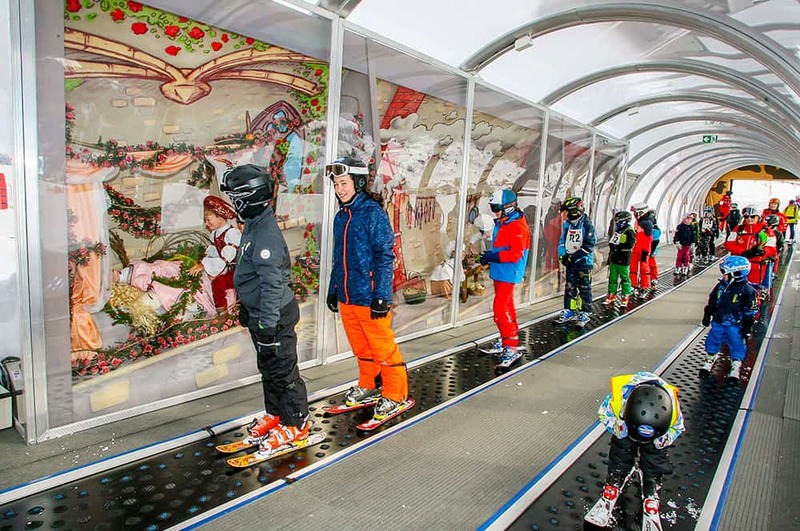 Even the youngest skiing beginners will be able to get on the magical Fisser conveyor belt easily. After a few metres, the noise of the mountains with their many skiers will be gently covered up by new sounds as guests of all ages are spirited away into a different world. 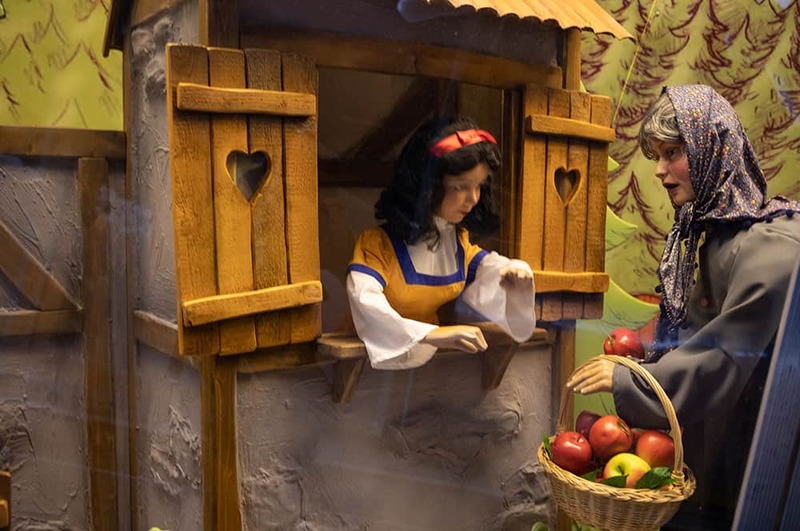 Sleeping Beauty, Cinderella and Snow White are waiting for the visitors in three display cases along the track. Each of them is ten metres long. Berta joins them in one disguise or another too, supporting the animated figures as they tell their tales. 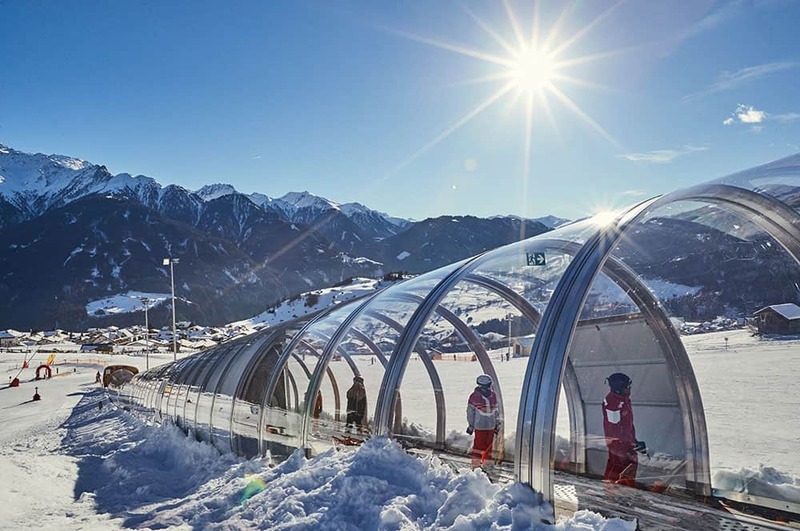 "We are very happy that we have been able to put this outstanding facility into practice together with the mountain railways Fiss-Ladis," says Sunkid's managing director Mag. (FH) Emanuel Wohlfarter. He is visibly proud of the achievements of all who were involved with the project. 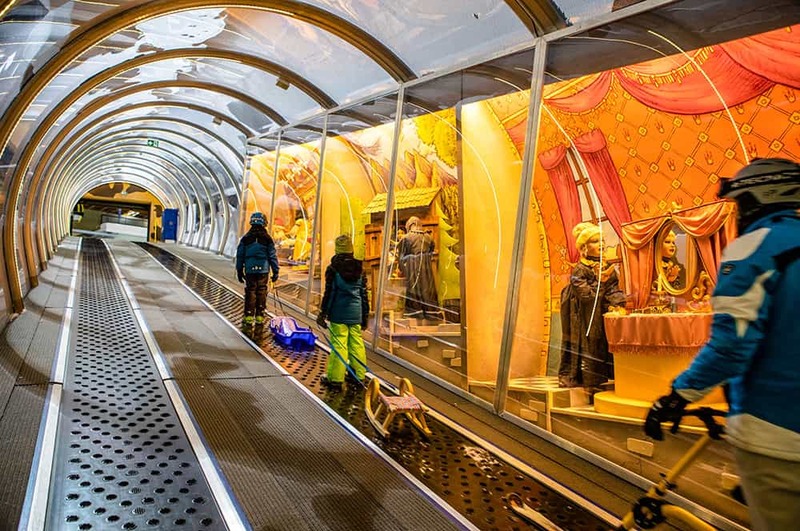 "In addition to our commitment as a year-round provider of leisure attractions and transport solutions in the Alpine area, we have a second strong base in the global leisure industry," Wohlfarter explains the development history of the fairy-tale express. 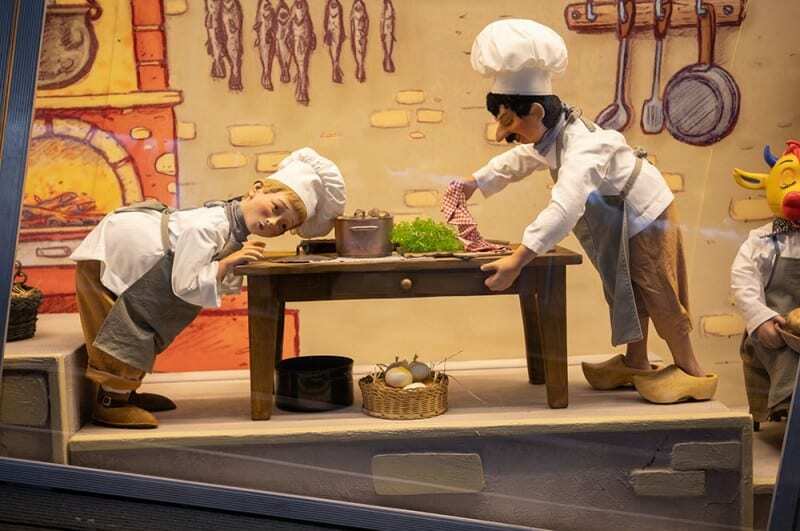 We were able to acquire a long-term partner for Sunkid who skilfully implemented the animated fairy-tale figures in Heimotion, a specialist for Animatronics and theming in the theme park industry. 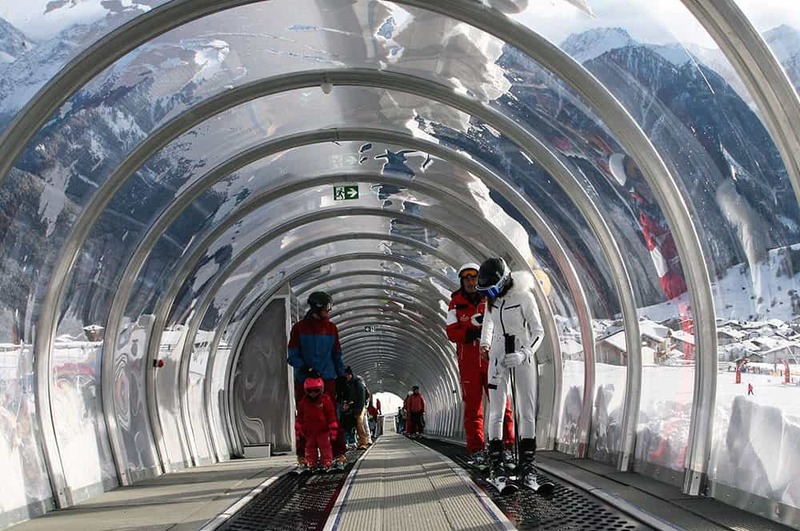 "Conveyor belts such as the fairy-tale express in Fiss will hardly become the new standard for all facilities. But they will surely be an attraction that can be used in any destination, similar to modern gondolas. They can be implemented in many different ways. To name just one example: think of a James Bond setup in Sölden or at the Schilthorn,“ Wohlfarter says, hoping for more projects in future.